A magnitude 3.0 earthquake was reported approximately 33 miles southeast of Southampton on Tuesday morning. The tremor was recorded at 7:22 a.m., according to a preliminary report from the United States Geological Survey. 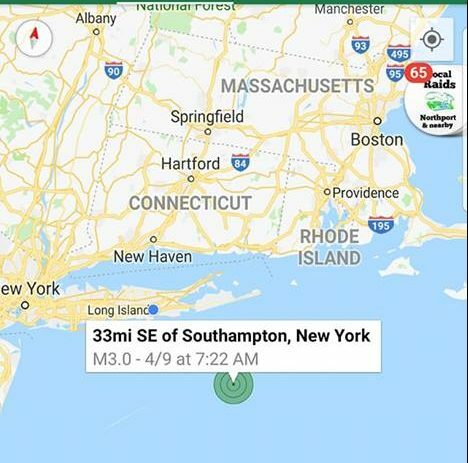 The quake’s epicenter—or point of origin— was roughly 41 miles southeast of Hampton Bays, 79.1 miles southeast of Riverhead, and 39.9 miles southeast of Mecox, according to the report.